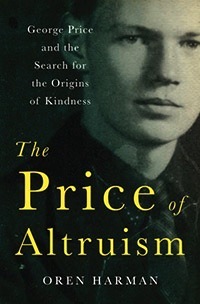 Sally Rhine Feather mentioned this book to me, The Price of Altruism: George Price and the Search for the Origins of Kindness by Oren Harman. 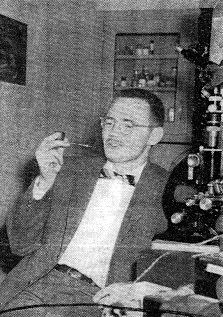 George Price was a scientist who wrote an article in 1955 for Science attacking parapsychology and accusing Rhine and others of cheating (Science and the Supernatural, August 26, 1955). He then got into a nasty exchange with Rhine, and Price was so particularly, shockingly hostile that a book with “kindness” in the title along with his name was so jarring it got my attention. I read the first few pages and was immediately sucked in. I skipped to the section about Rhine and got even more sucked in. There are just so many interesting revelations. It turns out that Price went after Rhine because he thought the purpose of Rhine’s experiments were to promote Rhine’s Christian beliefs. But Rhine was not religious, he was something between agnostic and atheist. 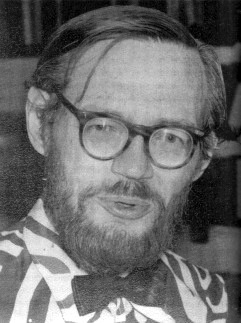 Price apologized years later, both publicly in a letter to the editor in Science (January 28, 1972) and in a letter to Rhine. They started writing each other again, and it was friendly at first, but apparently Price lost it again. He had since converted to religion and was now attacking Rhine for his lack of belief. Price never comes off like a very nice guy, but after his religious conversion he dedicated his life to helping the homeless and he killed himself by slashing his throat with a pair of nail scissors on January 6, 1975, because he couldn’t help the homeless enough! Christ. Nail scissors are tiny. The only people at his funeral were five homeless men who he’d been kind to. Due to various deadlines I haven’t been able to get to reading the entire book, but I wanted to mention it because it’s so well written and looks like such an incredible story. Price’s article caused a flurry of responses for a while. The following is from a letter from Rhine to his daughter Sally, when she asked him about the scientific method. “I have always thought of scientific method as simply the best developed way mankind has found as yet of finding the most satisfactory answer to questions about nature …” I also have letters between Price and Upton Sinclair, discussing Mental Radio, Sinclair’s book about his wife’s telepathy experiments. Price is pompous, Sinclair is patient. Could Price be the poster boy for cognitive dissonance? Possibly…..or perhaps he just failed in finding that spasm of lucidity in the end…. Poor guy in any case. Such a sad story. “Healing By Spiritual Doctors” is a book written by T.S which is now available at Apple stores for only $6.99. This book talks about women role throughout the history of creation and the fact that how powerful or known men have tried to buried their influence throughout the history so that their clear voice not be heard. After 30 years of research in the science of universe,the writer of this book is trying to show the true role of women in the universe and find their roles in healing! In this book you will see how women as Medium, can heal themselves or others by spiritual doctors. This is a gift from god and the pure spirit who are the guidance of our women Medium. This is the book that need to be read by all women so they learn their inner ability and be able to help our society and humanity! Hope you too hold our hands and be our guidance in this matter. I’m approving this comment even though it’s spam (it has nothing whatsoever to do with the subject of the post you are commenting on). 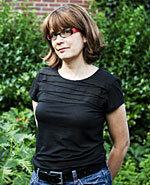 You might do better if you were less spam-like and more focused about how you market your book. but, as you write later, it was in 1955, not 1995. A bigger error in your description of Price’s funeral. There were a number of homeless people, but also two of the world’s greatest theoretical biologists – John Maynard Smith and Bill Hamilton. A very sad story, and a big loss. But I haven’t encountered many people who publish an apology to an article. Thank you for pointing out the typo, and for the additional information about his funeral!